This site is very graphically based with lots of images to allow their customers to point and click on images to view easily. It also allows the site owner to manage using their mobile. 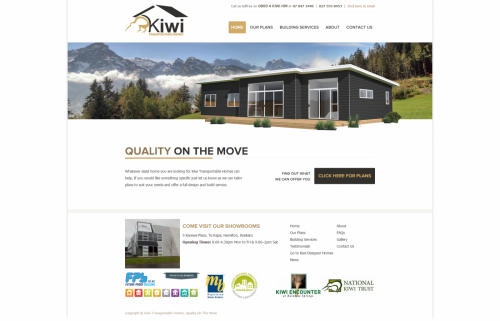 Kiwi Transportable Homes are based in the Waikato and are dedicated to providing their customers with high-quality, affordable housing options. Whatever sized home you are looking for they can help.